Pebble's plan for modular smartwatch straps is edging closer to reality with a couple of early supporters. On the upcoming Pebble Time watch, Pebble is including a smart-accessory port that lets the wristband carry additional hardware features. For instance, you might have a strap with extra battery life, or one with GPS connectivity. But these “smartstraps” only existed in theory when Pebble announced the Pebble Time last month, with no other companies committed to the idea. Now, it seems that Pebble has found some allies for its initiative. One of the participants is Seeed Studio, which makes hardware modules for do-it-yourself electronics projects. 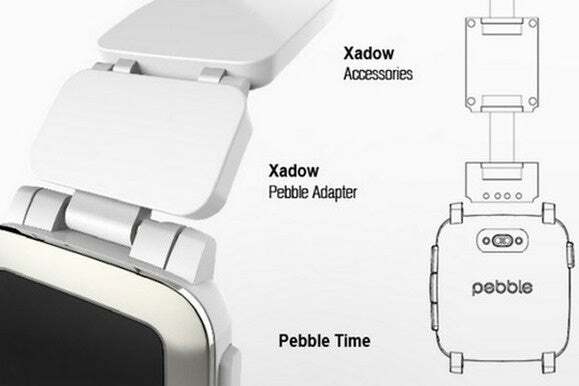 Seeed is planning a Pebble adapter for the company's Xadow modules, which offer features like GPS and NFC. While it's unlikely that Seeed will market these modules to consumers, other companies could still use the modules as prototypes before creating their own polished smartstraps. 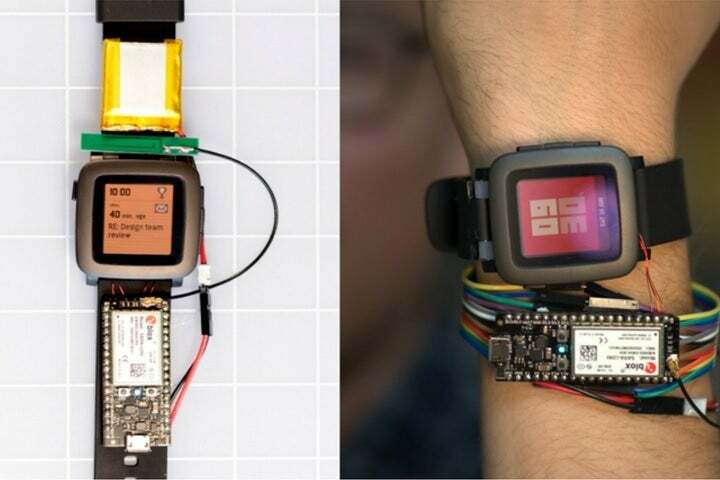 The modules could also be of use to DIYers who want to hack their own Pebble straps. The other participant is Spark, whose open-source hardware kits serve as a launching point for other Internet-connected products. Spark's upcoming Electron kit has built-in cellular connectivity with data plans costing just a few bucks per month. The Pebble prototype strap shows how the watch could easily gain 3G connectivity, letting users send and receive messages without a paired smartphone. Again, it's not a consumer-facing product, but the idea is that companies who want to make 3G straps for Pebble would have an easy way to do so. Spark says this is in no way a final design, though it does have some geek appeal. When will we see some actual smartstraps that you can buy? That's still unclear, and the Pebble Time itself isn't even shipping to Kickstater backers until May. But Pebble has set aside $1 million for companies that want to build their own straps through crowdfunding. Pebble says it will pick the most promising smartstrap projects to receive funding and promotion. Why this matters: The modular wristband makes a lot of sense for smartwatches. Not everyone wants or needs the exact same features from these devices, and the space inside them is so constrained that it's not practical to include everything. While we've seen some modular smartwatch concepts before, Pebble is clearly the farthest along in delivering real products.